We are proud to announce our newest partnership with the Formula Drift driver Ken Gushi and GReddy Racing. If you follow us or Ken on social media, you’re probably not surprised – we established a close relationship with Ken and he has been a loyal Ambassador of our brand almost since the beginning of the 2016 Formula Drift season. Now Ken has equipped in BlackVue not only his personal vehicles, but he also installed them in his family’s cars! 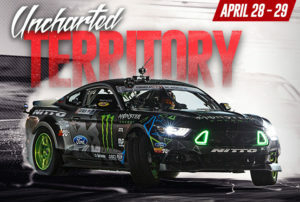 We are definitely looking forward to this partnership – we are honored to support such an amazing driver and to bring a new viewing experience to all Ken & drifting fans. During the first event of the 2017 Formula Drift season in Long Beach, we worked with Ken Gushi and GReddy to establish a new first for the dashcam brand: broadcasting BlackVue dashcam footage via Facebook Live. The feature is now availablein the BlackVue App for the Android/iOS mobile devices. Enjoy Formula Drift ORLANDO (more details below), which is the next event in the 2017 season – and Ken Gushi is participating, of course! Make sure to follow @Ken Gushi and @Team GReddy Racing on Instagram for future collaborations and new, exciting dashcam footage!